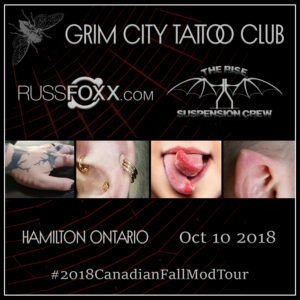 Oct 10 2018 – Suspension Night in Hamilton at Grim City Tattoo Club! Surprise suspension night in Hamilton at Grim City Tattoo Club Oct 10! Email bookings@therisehookdivision.com to book in! Suspension Night in Barrie, ON! Tonight is suspension night in Barrie, ON! Email bookings@therisehookdivision.com to get in on it! Photo below is from Brandon’s single point asstronaut suspension the other night in Bracebridge, ON. Wednesday Sept 26 is suspension night in Bracebridge, ON! What an amazing weekend that was! Our campsite was rain proof; which came in handy on Friday. We spent Saturday and Sunday facilitating suspensions and then packed up and got everyone home Sunday night to recover. Some fun from this year: 6 x 2pt suicide suspensions, 2 x 1pt chest suspensions, 1 x 2pt chest suspension & 1 x 2pt knee suspension. A huge thank you to everyone who came out and helped with setup and tear down for the event! Everyone coming together to help out made things run incredibly smoothly. 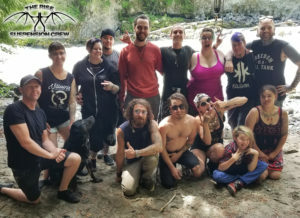 The RISE Suspension Crew Presents The 3rd annual Whistler Suspension Retreat – Jul 6-8 2018! 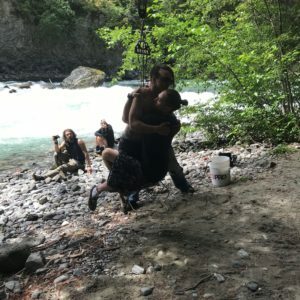 Come spend a weekend with us camping, hanging out at the lake and taking on suspensions in one of the most beautiful places in the world… Whistler, BC! Family-friendly! There is a fee for those who want to suspend, but the camping is at no cost. 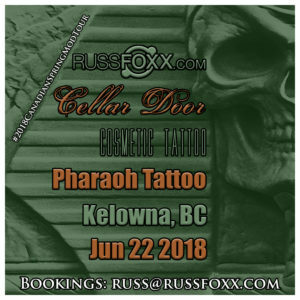 Surprise suspension day in Kelowna, BC this Friday @ Pharaoh Tattoo Studio & Piercings! Email bookings@therisehookdivision.com to book in! Jun 15 – Suspensions in Saskatoon, SK! Tomorrow night is suspension night in Saskatoon, SK! Tonight has been dubbed “Surprise Suspension Night in Winnipeg”! Surprise suspension day added to the roster in Ottawa!